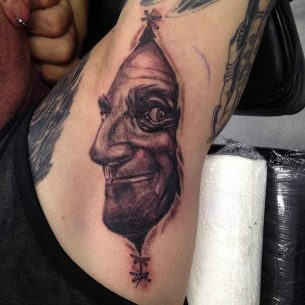 Armpit tattoos are not the most popular placement solution. 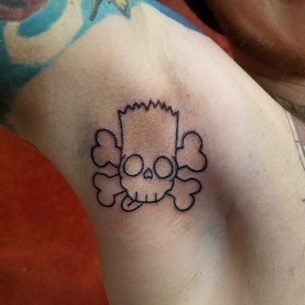 Even among the tattoo lovers, this placement is treated differently. And in any case, this place is an unusual one only for the coolest guys and girls. 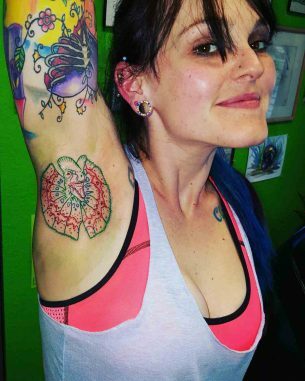 The tradition of making armpit tattoos doesn’t have the exact date of birth. However, its origins came out of the desire to be identified in the case of sudden death and were common among warriors and soldiers of different armies and periods. The deal is that this area is very sensitive. And after war battles, disasters, especially fires and other extreme situations which caused numerous death, bodies curled up were constantly found. This is a natural reflex if there is a danger, the whole body tacks and arms are getting pushed against the chest and sides of the torso, muscles at this point are maximum tensed. With the help of this rapid reaction, your organism tries to protect the major organs. 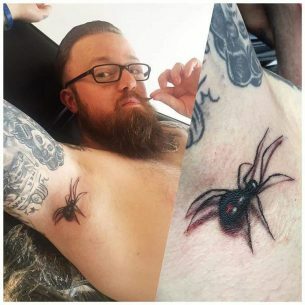 So, during, for example, a house fire, the skin on armpits burns last and if there were a tattoo it has much higher chanced not to get destroyed which can be the only way to identify the person. 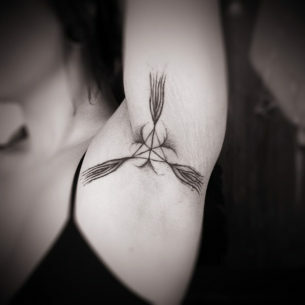 That’s why soldiers of all armies used to make armpit tattoos as a sort of and identification marks. This could be the unit they belong to, names, birthdates and so on. With an RH factor discovery the blood type tattoos appeared. 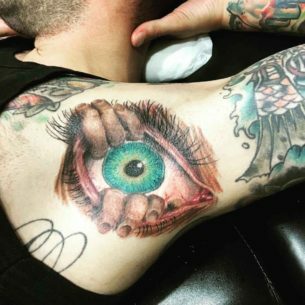 Soldiers started making this tattoo which served two aims: it helped medics to give the first aid if a blood transfusion was needed for an unconscious victim and to help to identify this person. 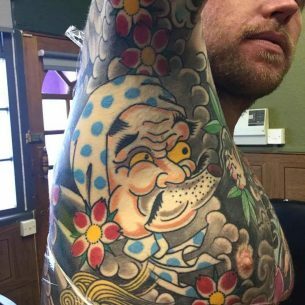 Some soldiers are used to make blood type tattoos on the shoulder which is not recommended. 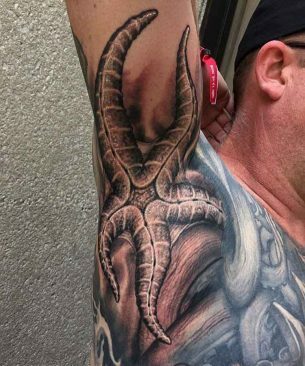 First of all, such tattoo doesn’t have an artistic aesthetical value, so it is better to save this awesome part of the body for something beautiful and big, something worth to be seen. 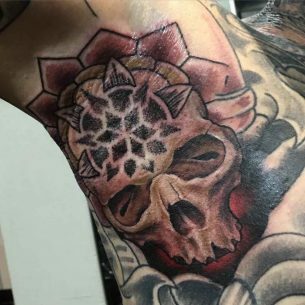 There are of course attempts of a creative approach to such informative tattoo designs, some ornaments and other elements are added to the designs, however, this can make it harder to denote the information about the blood type which can be fatal. 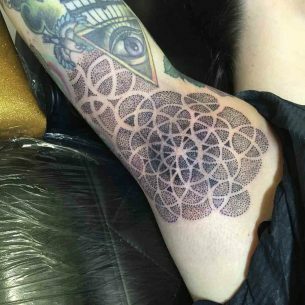 So, if you are planning to make such body mark, it’s better to make it on the armpit or around this are for it not to suffer. 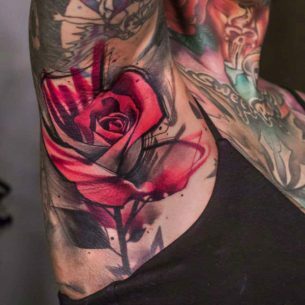 Also, this placement, or to be more precise, the area under the armpit closer to ribs, can be decorated with some romantic designs. People make tattoos of something personal that should stay forever, that just can’t be destroyed even if they die. This can be, for instance, portraits of children, important dates, names of beloved and relatives etc. Shortly speaking, something full of sentiment and precious for the soul. 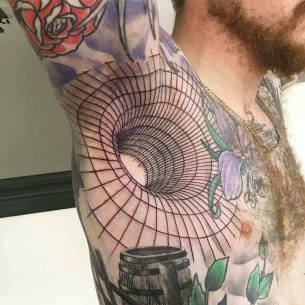 The tattoo is an attribute of bright and extraordinary people, the armpit can become a canvas for some different funny tattoos with unusual designs and ideas. Some of them are not willing to be exposed often. 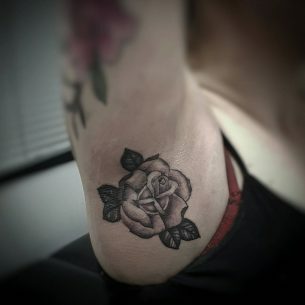 For example, it is possible to make a tattoo of jaws with sharp teeth in a way that if you put your hand up it would look like an opened mouth of a shark, wolf or any other animal you wish. Also, some dirty drawings are also placed there, which are not our favorite and we do not recommend to choose this kind of art. 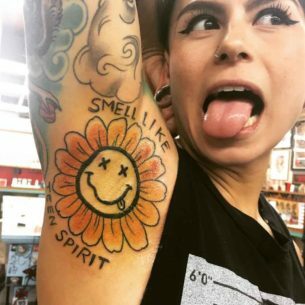 Frankly speaking, to sum everything up, armpit tattoos are not the best choice in for common people nowadays. 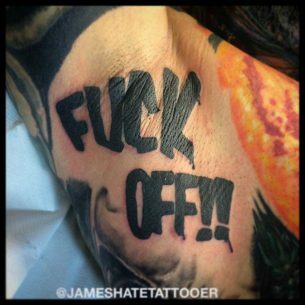 You cannot boast with this drawing and usually such tattoos look weird and provoke only one reaction and question – “Why! ?” Dark designs with a lot of small elements and lines look like hair there. 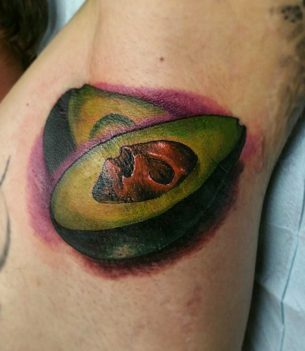 Plus, it is very painful to make a tattoo there, so it is definitely not worth it. We repeat that this area is good only for life-saving tattoos if you are constantly in danger, for example serving in the army in some hot zone. 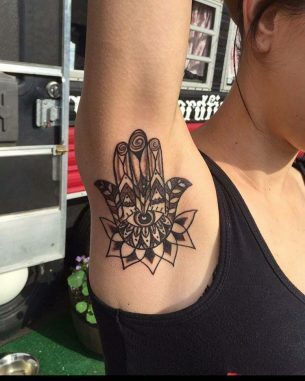 In all other cases, it is better to choose some beautiful unique design and some other placement which it would fit.